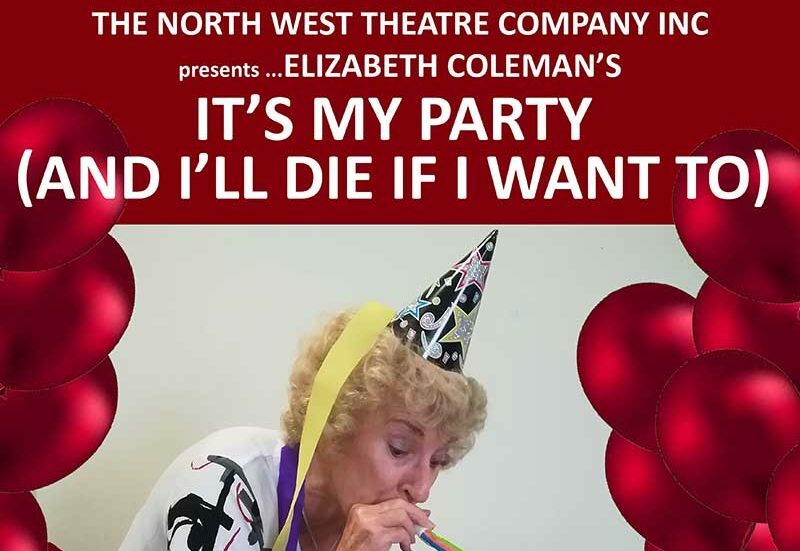 The North West Theatre Company’s production of ‘It’s My Party (and I’ll Die if I Want to)’ should have concluded last weekend. Unfortunately a work injury to one of our cast members forced its postponement. New performance dates have been set for June, but we are still unsure if our injured warrior will be well enough to do the part. So we are looking for a man. The player needs to be aged 25 to 45 years. No prior stage experience is required but he will need to commit to at least TWO rehearsals each week and then the performance schedule of June 15, 16 and 21, 22 and 23. The rest of the cast and crew are ready to party. The play is a fantastic Australian comedy centred on a family, the Pattersons. The father, Ron Patterson has been told by his doctor that he has three months to live. Ron accepts the diagnoses literally and so calls his family together on the night of his pending demise. He tells his children that he has one hundred and eleven minutes left and that he wants to discuss with them any issues that they may have with him ‘as a father’. The play is full of twists and turns, unexpected revelations and tension, but with a lots of laughs. The part of son Michael is requiring a player to make up the company. So if you are a male, aged 25 to 45 years, interested in being on stage and taking part in this farcical romp with lots of talented people please contact the NWTC President, Rick Hutton on 0438 355 197. The North West Theatre Company has a fine reputation for professional quality productions and always delivers a great experience for their audiences as well are their cast and crew. Future NWTC events for 2019 include an evening of entertainment and a celebration of the 50th Anniversary of the First Moon Walk in July, and the ‘Grey & Thespian Mardi Gras’ Talent Quest as part of the ‘Pulse of the Earth’ Festival in September. A second theatrical production in October/November is also being considered.